Browse the collection of my latest small paintings for a pop of color anywhere. 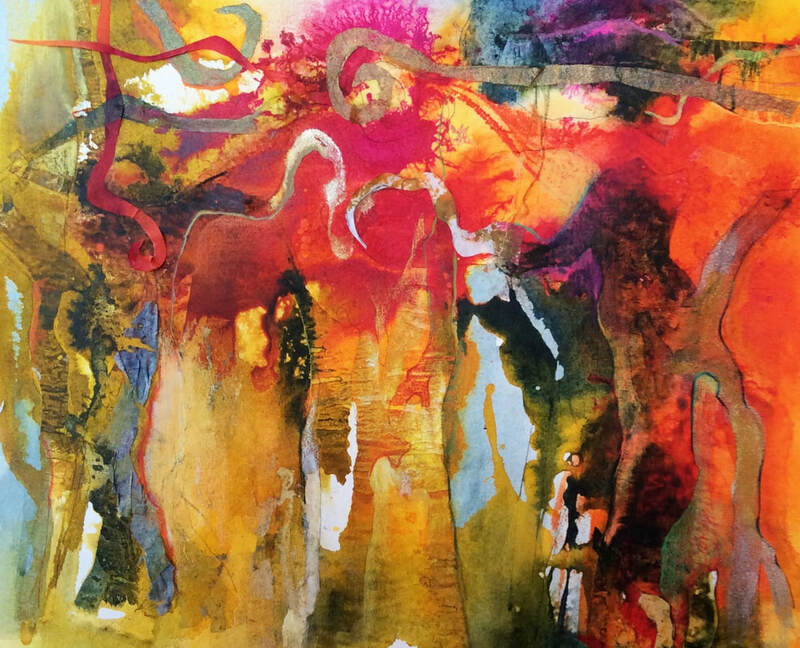 Capturing my love of color, enjoy the intuitive dance and flow of ink blooms and sensuous shapes as they find their way around the surface of the paintings. Tribal Dance is a new mixed media work using inks, acrylic and collage elements. Take a sneak peek into my studio life by following me on Instagram. Find out what been inspiring me lately and what new processes I've been exploring. Studio life is my playtime, what's your's?